Steppenwolf's production of Edward Albee's classic arrives on Broadway starring Tracy Letts and Amy Morton. for Who's Afraid of Virginia Woolf? 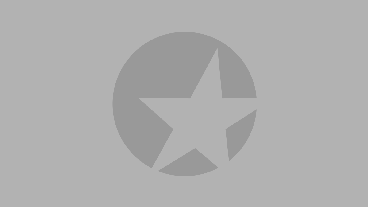 of Who's Afraid of Virginia Woolf? What the Story of Who’s Afraid of Virginia Woolf? Set in the fictional college town of New Carthage, Who’s Afraid of Virginia Woolf? begins as George and Martha, a middle-aged history professor and his wife, return home after a faculty get-together. During the party, Martha’s father, the president of the college, had introduced the couple to a new teacher and his wife, and unbeknownst to George, Martha has invited them over for drinks—tonight. As George and Martha sling insults at each other, their wide-eyed guests, Nick and Honey, arrive. At first, the young couple is disconcerted by George and Martha’s bickering, but as the liquor flows, Nick and Honey find themselves drawn into their hosts' tumultuous, damaged world. What begins as a night of fun and games quickly becomes a boxing match as George and Martha battle their guests…and each other. You'll leave the gathering shaken and sobered, but also exhilarated. All golden anniversaries should be this memorable. Morton's may be the most sympathetic Martha ever to appear on stage—her implosion in the play's final scenes is devastating on multiple levels. about Who's Afraid of Virginia Woolf? What Is Who’s Afraid of Virginia Woolf? Like? 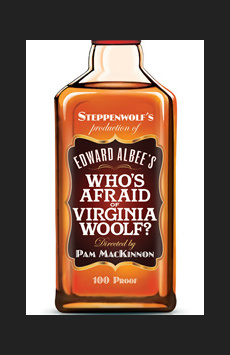 After acclaimed runs in Chicago and Washington D.C., the Steppenwolf Theatre Company production of Who’s Afraid of Virginia Woolf? invites audience members into the cluttered living room of George and Martha for a long night of drinking and debauchery. As the evening unfolds, two couples’ darkest secrets are revealed—but the drama isn’t simply painful and heart-wrenching. George and Martha’s acerbic wit is, at times, wildly funny and poetic, while Honey earns laughs as she downs glass after glass of brandy. Edward Albee’s Pulitzer Prize-winning play is a modern classic, and this newly imagined production allows audiences to view the beloved drama with fresh eyes. Is Who’s Afraid of Virginia Woolf? Good For Kids? No. The production contains harsh language and depictions of physical and verbal abuse. Additionally, the cast consumes lots (and lots) of alcoholic beverages. Young children may be frightened by George and Martha’s intense arguments. Who’s Afraid of Virginia Woolf? is an excellent choice for mature, older teens, especially if they have studied the play or seen the movie.